If you are looking for a comprehensive and easy to use Zoho Users List with the most accurate and verified contact details of the key business decision makers then Optin Contacts is the perfect place for you. We understand that for a successful marketing campaign you need an accurate and verified list of contact details of the key business decision makers with the authority to take purchase decisions. Zoho Customers List by Optin Contacts represents businesses and their executives who hold the decision making authority in Zoho Cloud Software Suite using companies. You can use this extensive database for consulting purposes, services and other upgrades. All our data is acquired through in-depth research that is regularly updated and cleansed to maintain accuracy and eliminate any chances of data duplication. Reach out to the global community of Zoho Software Users and give your marketing campaign the extra boost it needs to acquire new potential clients. Our detailed Zoho Users Mailing List contains a varied range of fields of information such as First Name, Last Name, Title, Email Address, Company, Address, City, State/Province, ZIP/Postal Code, ZIP4, Country, Phone, Fax, Employees, Sales, SIC Code, Primary Industry, NAICS and Web Address. Zoho is a suite of online applications (services) that can be signed up for and accessed from the Zoho website. Zoho brings together a wide range of online applications making it easier for individuals and businesses to manage all their work while dramatically reducing the cost. Zoho provides its customers (individuals, students, educators, non-profits, small and medium-sized businesses) with the most comprehensive set of applications available anywhere (breadth); and for those applications to have enough features (depth) to make the user experience worthwhile. At Optin Contacts we bring you the contact details of the Zoho Software Users from USA and Canada, UK, Germany, France, Italy, Japan, Malaysia, Singapore, Asia Pacific and Australia. Our Zoho Users List is suitable for all channels of communication such as email marketing, direct mailing, telemarketing, postal marketing, etc. We give all persons mentioned in the list the option to be included in the list through the process of double opt-in. 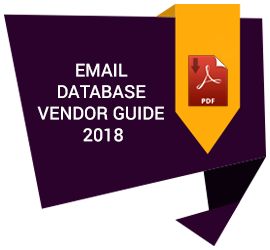 This way we ensure that only the persons who are included in the Zoho Customers Email List are truly Zoho Software Users or are interested in receiving industry updates and promotional and marketing emails related to Zoho Software. Get access to the most comprehensive, clean, and accurate contact details of the top-level managers and business decision makers with the authority to take purchase decisions with the Optin Contacts Zoho Users Mailing List. Take a free sample today and see for yourself the superior quality of data provided by us. Don’t let dead and inaccurate data stand in the way of your company’s success and invest in the most updated and verified Zoho Users Email List from Optin Contacts today.